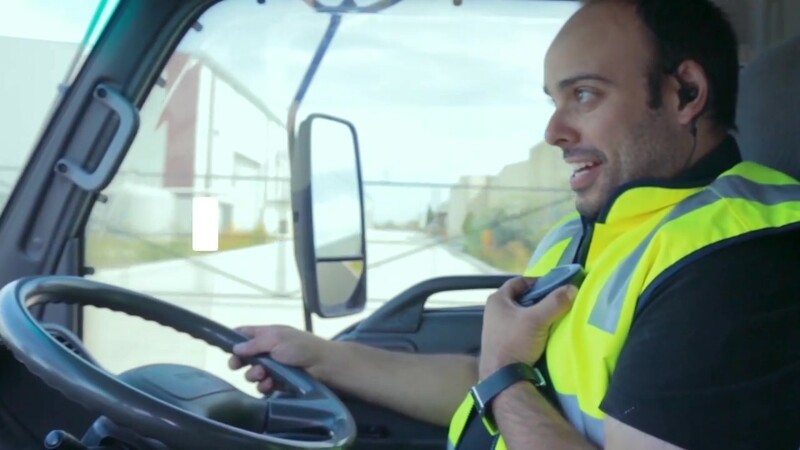 Using Push to talk (PTT) technology instead of old radio communications, and replacing it with a digital PTT solution, could enhance your mobile fleet and logistical performance. Smartphones. They’re an everyday fixture in our work and personal lives. Yet many hazardous work operations need safe instant communications between staff, that typical touchscreen devices can’t provide, such as rapid voice broadcasts. Immediate voice transmissions cannot be received if you don’t have hands free to work the device or you’re in an environment where this action is impossible. Therefore, many companies – for instance, logistics fleets, construction firms, field service teams and mining enterprises – are advancing operations by harnessing the speed, efficiency and agility that fast push-to-talk (PTT) communications achieve. Here are seven ways implementing PTT technology, or replacing old radio communications with a digital PTT solution, could enhance your operational performance. In short, digital PTT systems operate like two-way ‘walkie-talkie’ radio communication. A single push of a button allows a person to speak and transmit an instant verbal message to be received; by one other person, a group of people, or everyone on the closed channel. Not just live voice messages, next-generation digital PTT systems also transmit voice recordings, still images, video recordings and SMS-style text communications. PTT is used by dispatchers, team leaders and supervisors to communicate to their remote team, i.e. drivers, service technicians, sales assistants and warehouse staff on the floor. 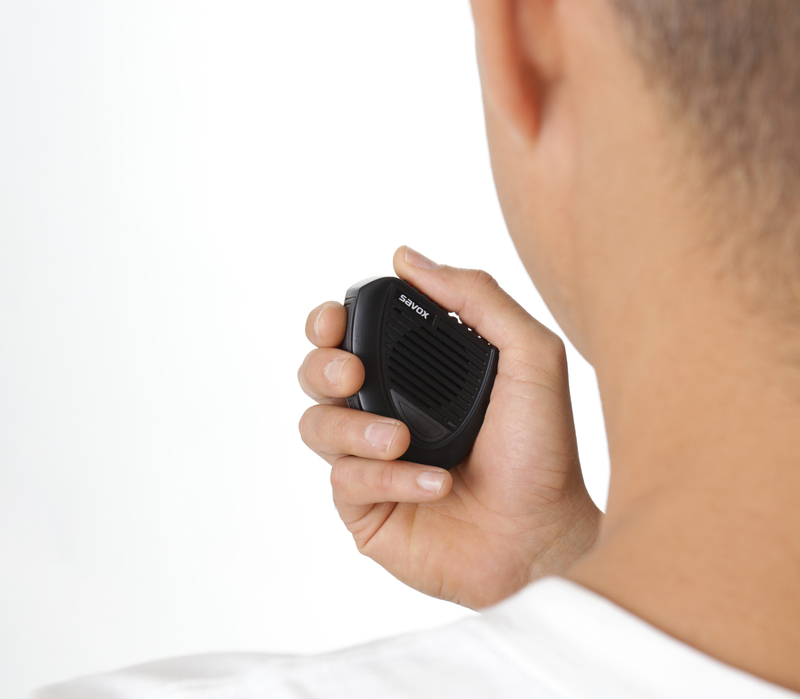 PTT is used by dispatchers, team leaders and supervisors to communicate to their remote team, i.e. drivers, service technicians, sales assistants and warehouse staff on the floor. The turn-based single duplex method of verbal conversation, where only one person can speak at a time, manually controls the flow of information. This effectively prevents overlapping conversations and eliminates the misinterpretation of information. In the past, traditional PTT systems used analogue radio systems on private licenced channels. But now that the number of available channels are declining, while the ongoing costs are increasing, analogue systems are almost unusable and soon-to-be obsolete. Legacy systems must upgrade to digital PTT systems to retain this vital communication service for managing operations. Presently, PTT services are delivered via the digital/cellular mobile data network. This outperforms the analogue system by having an unlimited geographic range. This means it’s possible to talk, without interference or lag, from one side of Australia to the other, without the need for repeaters because cellular data or a Wi-Fi connection are used. In fact, this type of coverage and the right network infrastructure makes digital PTT effective for operational teams to communicate with remote managers across the globe, at the touch of a button. Digital PTT functionality can be added to smartphones and specialised mobile handsets, handheld devices, headsets, tablets, rugged water and drop-resistant handsets, and more. Additionally, numerous PTT services work on laptop, desktop and tablet computers via web-based portals. You may be considering adding PPT technologies to your enterprise mobility system, as you move from retired radio networks to cellular networks, or as a new way to communicate with your mobile workforce. Whether it’s instant instructions to your floor staff or in-cabin announcements to your vehicle fleet drivers, the principal advantage of PTT over making phone calls is rapid direct communication of critical information. In addition, PTT features, such as voice-activated communication and Bluetooth connectivity, help to create a hands-free and tangle-free experience for the user. In Australia and other countries, using a mobile phone or hand-held smart device while driving is illegal. The laws may vary slightly from state to state and from country to country, but essentially touching the device while driving is prohibited, resulting in hefty fines and demerit points. From a safety perspective, driving while operating a mobile device is as dangerous as driving intoxicated; smart devices are a major contributor to injurious and fatal vehicle collisions. Taking the same view of a worksite that operates machinery, forklifts and other vehicles, the distraction of a mobile device could reduce an operator’s concentration, resulting in workplace errors or accidents. The good news is that PTT communication systems offer an excellent way for companies to reduce crash risks, comply with on-road communication standards and abide by road laws regarding mobile device use. Importantly, when enabled by a PTT application on a device receiving incoming audible voice messages, a driver can hear an important message without removing his gaze from the road or taking his hands off the steering wheel to touch the device. In some workplaces, such as manufacturing plants, factory floors and retail departments, PTT technology allows a clear message to be delivered and for the receiver to acknowledge, in return, that they’ve understood the message. The digital conversion of a voice signal effectively filters out background noise, making it easier for the receiver to hear the message. Such clarity of information transmission prevents confusion, leading to error-free streamlined operations. When quick messages need to be sent, for instance, to notify employees of a work hazard or an emergency situation, PTT achieves instant connectivity to staff. Compared to mobile phone systems, that take seconds to connect to the network and more time to establish a connection to another user; PTT is far superior when every second counts. Also, a professional level PTT system allows a ‘group conversation’, where one user can connect to many colleagues at the same time, to work together more effectively. Plus, implement a chain-of-command group hierarchy that separates those who need to know one stream of information from those who don’t need to know and would otherwise find it distracting. PTT applications are compatible with iOS and Android devices, including rugged devices, for when reliability and durability in extreme environments or remote regions is important depending on the type of work done. Dispatchers communicating from internet-connected computers via a PTT application like Leopard Voice™, receive rapid real-time location and status updates from field devices. This allows better visibility of ‘who’, ‘what’ and ‘where’ in order to enhance operations management and customer service. Leopard Voice™ flags which members of your team are available to talk, helping supervisors and workers identify who to communicate to, based on the situation. Plus, in a retail environment, PTT conveniently replaces annoying and disruptive voice announcements over public address systems, thus improving the customer’s experience of your business. Leopard Voice™ flags which members of your team are available to talk, helping supervisors and workers identify who to communicate to, based on the situation. Plus, in a retail environment, PTT conveniently replaces annoying and disruptive voice announcements over public address systems, thus improving the customer’s experience of your business. 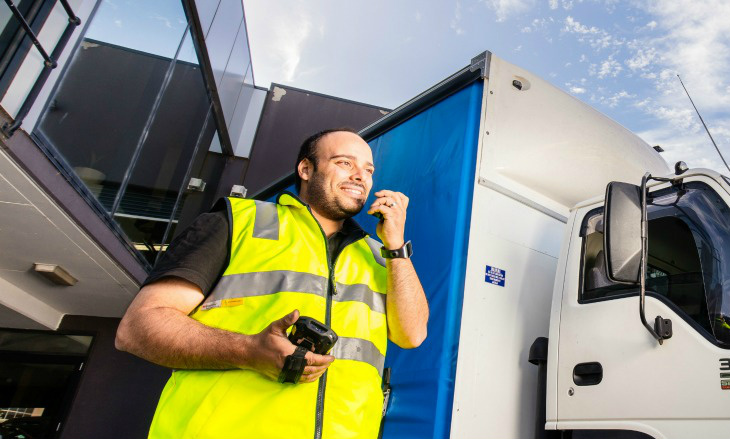 PTT securely connects your head office to job sites and fleet locations and allows tasks to be co-ordinated and situations to be responded to, in real time. This up-to-the-minute knowledge and connectivity enables faster decisions to be made, thus enhancing productivity across the board. No more fines for your drivers who’ve been caught illegally using a mobile device while operating a vehicle on Australian roads. No need to pay for proprietary radio communications. Stop paying for a separate phone SMS text messaging or calling service when you can use PTT to send the same information. Better work processes reduce staff turnover costs. Enhanced customer satisfaction for increased profits. As PTT improves operational efficiencies, more savings are achievable. For example, your head office can instantly contact a subset of employees with an urgent change that may reduce fuel, or stop a mistake from happening, which in turn saves additional rework to fix the problem. In closing, PTT systems range from simple to multifaceted. 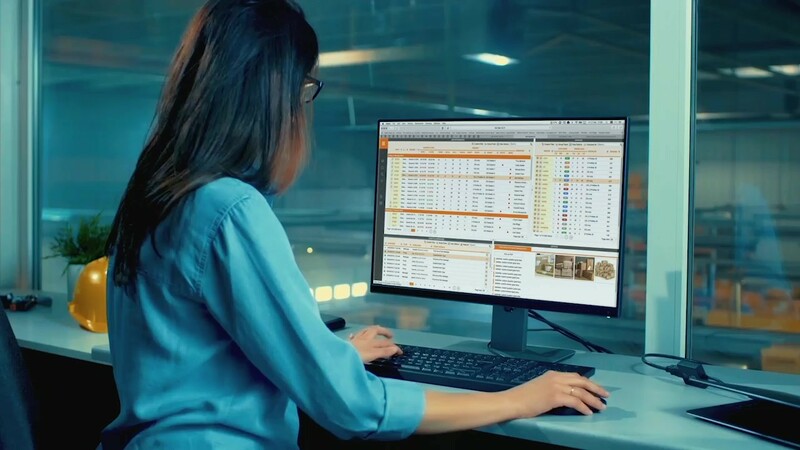 They can be added to your existing fleet of mobile computers, in transport and logistics as well as retail operations, to provide additional functionality and, more importantly, improve business returns without a major investment to implement. If your enterprise has specific operational needs, that require hands-free instant secure communications, talk to Leopard to find a PTT solution, such as Leopard Voice™ that can be configured to deliver this useful technology for your business and safety requirements. Alternatively, add cost-effective PTT technology to the enterprise mobility solution your team is already using. To find out more, and discuss your software, hardware requirements and mobility strategy, contact Leopard Systems today.